I married a Southern gentleman. 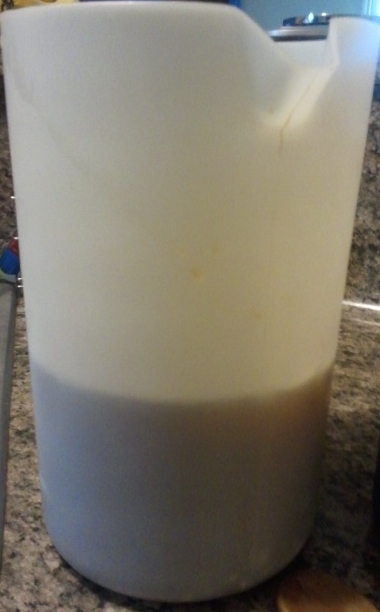 With that comes some knowledge of how to make certain southern foods and drinks, one of the most important being sweet tea. Not having ever really enjoyed iced tea I was relatively clueless. 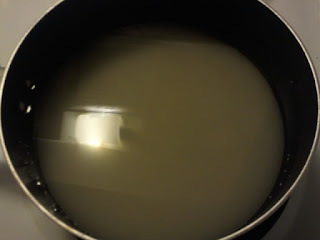 My tea was hot with milk and sugar. I heard at some point in my life that true southern sweet tea was made with syrup. 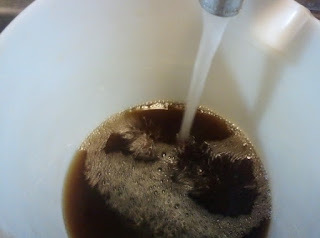 Sugar syrup that is. Okay, it can't be that difficult. 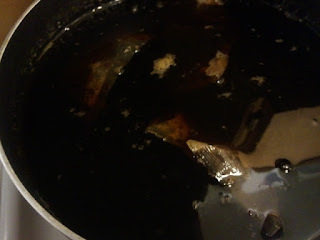 Now try not to laugh but I used the proportions for KoolAid to get my syrup for tea. Yes, 1 cup per 2 quarts of water. Then over the years I experimented with the technique. 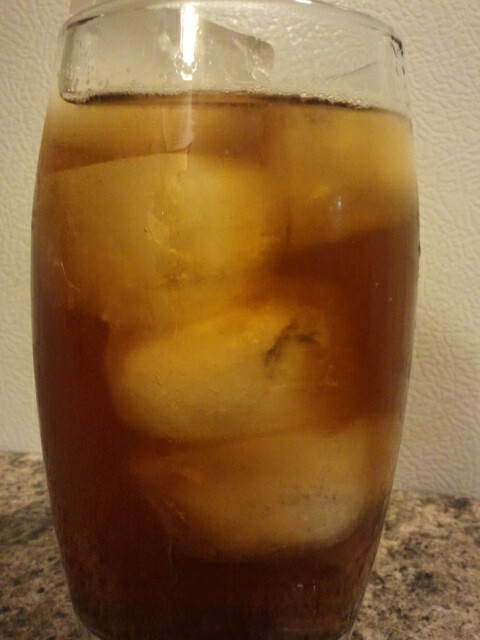 Years later I can now say that I am officially a huge fan of sweet tea. Yes, I have evolved. 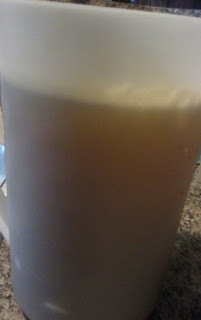 Here is my version that not only tastes much better than "store bought," but is much more economical. 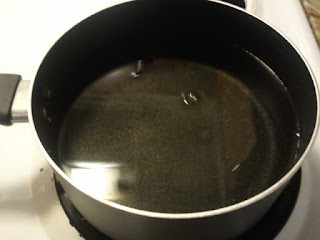 Using a larger size saucepan (1 1/2 quart) fill almost full with water. Bring JUST to a boil. Don't get distracted like I often do. 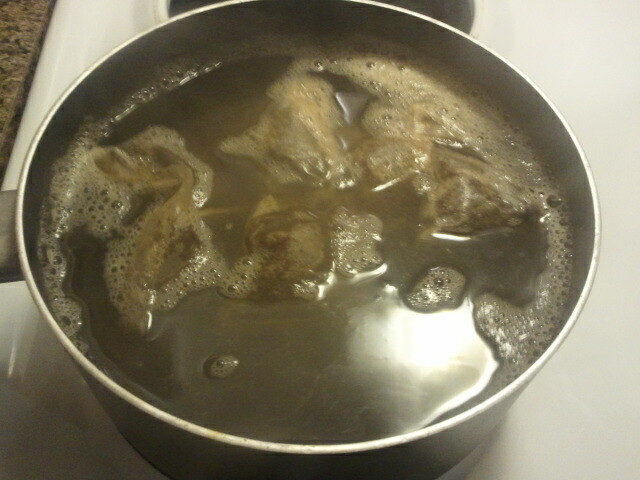 It will boil over and make a sticky mess. 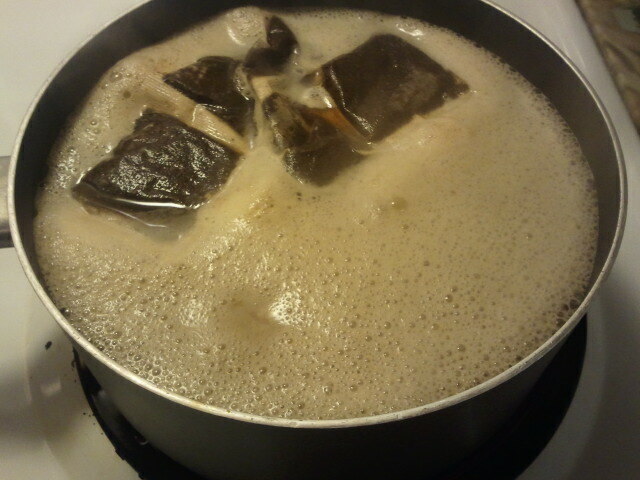 Remove from heat and let it steep. It's okay to get distracted now. For about 30 minutes. 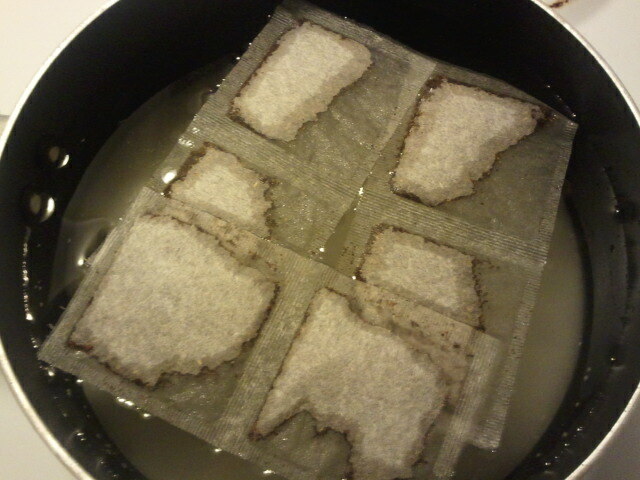 Less for weaker tea, but not more than 1 hour for stronger tea or you risk the tea bags falling apart. Carefully pour the tea syrup into a 1 gallon pitcher. Using a spoon, squeeze the liquid out of the tea bags and toss. 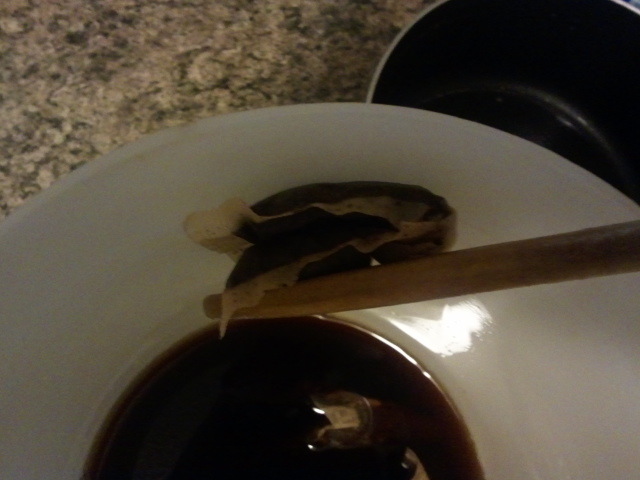 The tea bags, not the spoon. *You can also cut up a lemon and squeeze it in and just float the lemon in the tea. Or squirt in some RealLemon. I prefer mine lemon free.